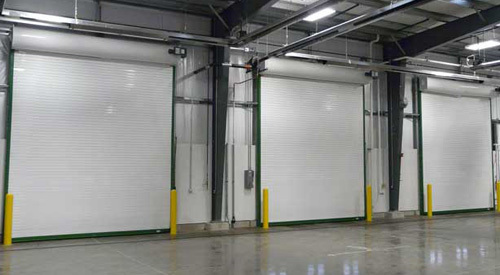 Rolling Service Doors are metal slatted doors that roll up to store in coil above the opening. They are used to provide security against entry or weather protection at exterior and interior openings in industrial, commercial, institutional and other buildings. Click here to go back to products page.